Information, data, knowledge, education, and learning are words often used interchangeably as if they have approximate meanings. Without definition they could almost work this way. The fact is they all mean something very specific and different from one another. Raw data can be, but isn’t necessarily, information. Unless it informs us through its structure and configuration, the value of data is limited. Likewise, information is not knowledge. Information requires a frame of reference that enables relativity. We can only learn new ideas and concepts based on how they relate to what we already know. The process of data becoming information and information becoming knowledge is the process of communicating, thinking and experiencing. Learning is converting accurate data into usable information, and then experiencing results through application. This process is known as knowledge transfer. The flow and speed of this intellectual transfer is dependent upon the level of interest and motivation of the learner. 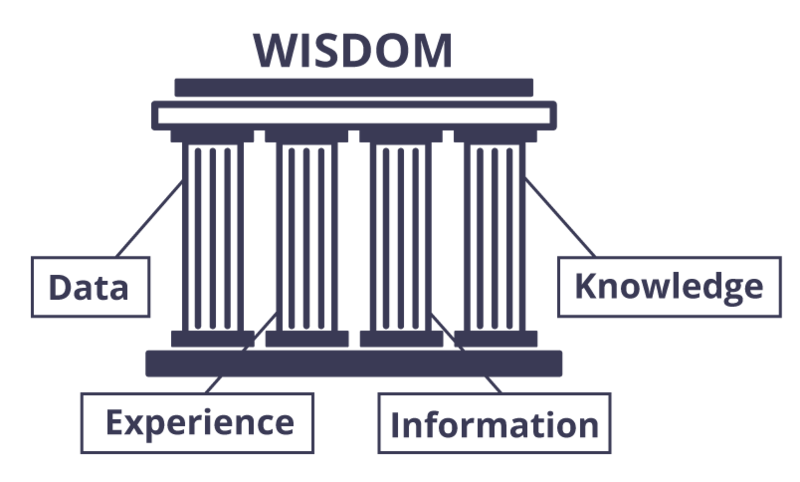 The swiftest vehicle for knowledge transfer is learners encountering real ideas, events, and information in meaningful contexts. Essentially, connecting knowledge and life. Roger Schank, a Northwestern University professor and author of The Connoisseur’s Guide to the Mind, believes individuals can deal with new areas of knowledge if one knows how to learn, how to find out about what is known, and how to abandon old ideas when they are worn out. This means teaching ways of developing good questions rather than memorizing known answers. The final leap to Wisdom is in the hands of the learner. How new knowledge is used can only be determined by those who possess it. Words (data, information) allow for theoretical understanding. Experience enables practical knowledge. Accumulated wisdom is the discerning use of knowledge over time. Accumulating wisdom is often accomplished through feelings, instincts, and intuition. These are the tools of wisdom and the primary tools of coaches. This entails looping around the learning cycle many times; a task best accomplished with passion, persistence, and patience. As you might imagine, there are many details that span these pillars.